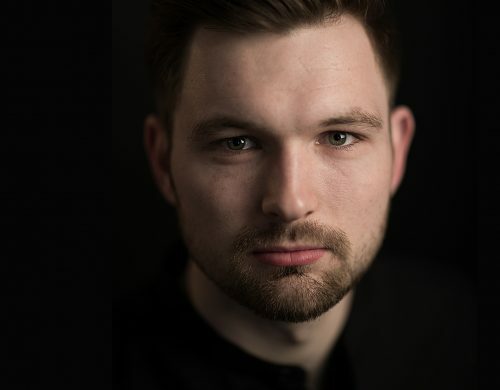 A BBC New Generation Artist 2018-2020, British baritone James Newby’s performances and broadcasts for the BBC this season include Brahms Ein deutsches Requiem together with soprano Elizabeth Watts and the Orchestra of the Age of Enlightenment under the baton of Marin Alsop, Berlioz Les nuits d’été with BBC symphony Orchestra, and recitals for Wigmore Hall and Hay Festival. Orchestral debuts this season include a Messiah tour with Daniel Reuss and Orchestra of the Eighteenth Century, Purcell The Fairy Queen with Gabrieli Consort, Bach St Matthew Passion with both RTÉ National Symphony Orchestra under Nicholas McGegan, and Cincinnati Symphony Orchestra for the prestigious Cincinnati May Festival under the baton of Juanjo Mena. On the opera stage he makes his debuts for La Monnaie, Brussels, with the revival of Howard Moody’s Push, and for Théâtre du Châtelet, Paris, to revive Calito Bieto’s staging of Bach St John Passion under the baton of Christophe Rousset. He returns to Glyndebourne, where he was a 2017 Jerwood Young Artist and winner of the John Christie Award, to cover the role of Papageno in Mozart’s Die Zauberflote for their 2019 Festival.